The leader of Darikar Tijjaniya Movement in Nigeria, Dahiru Bauchi, has urged his followers to register and obtain their Permanent Voters Card (PVC) ahead of 2019 General Elections. The cleric gave the directive at the 42nd Annual Maulud and Special Prayer for Nigeria, which was organised by Darikar Tijjaniyya Movement on Saturday in Abuja. According to Bauchi, the PVC is the most sophisticate weapons that could be used by the electorate to choose whoever they want to lead the affairs of the country. He called on his followers to use their PVC wisely and vote for people who had credible record and ability to satisfy their yearnings and aspirations. He said the voter registration was the right of all eligible citizens to participate in the affairs of their government and also one of the cornerstones of democracy. 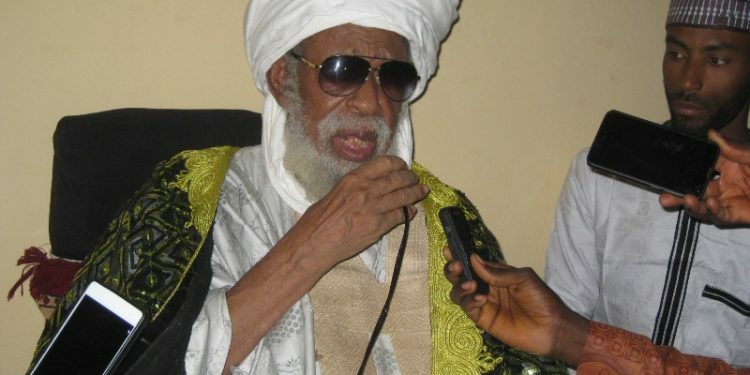 Bauchi said that the objective of the Maulud was to celebrate the legacies of the famous leader of the movement in Africa, Sheikh Ibrahim Niyass of Senegal. He said that Niyass has contributed immensely to the development of Islam worldwide and left enduring legacies to the Islamic world. He also said that the event was also organised to pray for the restoration of peace and tranquility in the country, adding that prayer was the solution to all challenges facing the country. Speaking earlier, President Muhammadu Buhari, commended leaders of Darikar Tijjaniya for their contribution to Islamic scholarship and prayers for the enhancement of peace and harmony in the country. Mr Buhari, who was represented by the Minister of Education, Adamu Adamu, said truly Niyass had contributed greatly to the development of Islam in Africa, Asia and in Europe through his write-up. The president also gave the assurance that the Federal Government would continue to support the activities of the movement for enduring peace in the country.